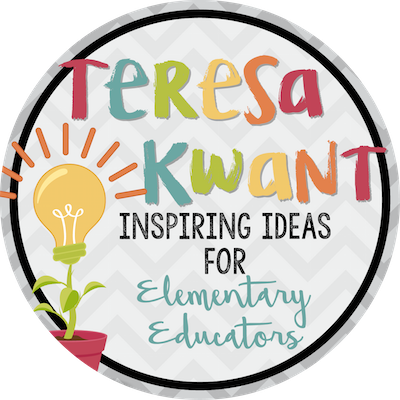 As December creeps around the corner (or blasts through the door if you go to any department store) we get to start planning fun activities in our classrooms! During the holiday seasons, there are so many chances to talk with students about what they are thankful for and why it’s important to believe in things (even if they seem far-fetched). It’s also a great time to break out the craft box and get ready to go glitter crazy getting your room decked out for December festivities. There are so many ways to bring some fun activities into your classroom, especially when you incorporate a book! Let’s start with a favorite of mine, The Polar Express. There are several activities you can do in a variety of subjects to get your students in the spirit of the holiday season. Character T-Shirts: Have each student pick out a character and make them a t-shirt. Students will draw a picture of a character in the story. Then have students write that character’s strengths and weaknesses on the sleeves of the shirt. You can cut out the t-shirts and hang them on a clothes line in the classroom. Snow Science: Incorporate a little STEM into your classroom by learning about the science of snow. You can experiment with water and time how long it takes for water to change in different temperatures. Then, you can make your own snow with water and baking soda. Start with one cup of baking soda and pour in one tablespoon of water. Stir it in with a fork then add another tablespoon of water and stir it again. Repeat this process until the snow reaches the consistency you want! Believe: Another festive idea you can use in the classroom is a writing activity about why it’s important to believe in things. You could also ask students to write about things they believe in that they can’t see, like love. You can tailor this idea to fit the age group you teach. Using this writing activity would also be a good way to use the word wall in your classroom. Jingle All the Way: A great way to conclude your festive work with The Polar Express is to create a jingle bell ornament for students that they can bring home. To make these jingle bell ornaments you will need three medium sized jingle bells for each student, around 6 beads for each student, and some ribbon. String the ribbon through the jingle bell and then add two beads. Then, add the second jingle bell, then two more beads. Finally, you put the last jingle bell on and the beads. When you are finished, tie a knot at the end. You can use these bells as “applause” when students share what they believe in that you can’t see and why they believe in that idea or concept. Moving out of the train station and into a new book, you can also have some fun with The Grinch Who Stole Christmas. Just like with The Polar Express, you can create fun December activities to make your curriculum stronger and to add a little holiday magic to your classroom. Lesson Learned: The Grinch is a not so loveable character that can teach us a lot about not only greed, but bullying as well. Facilitate a conversation with your students about how some of the characters are really mean to the Grinch and what effect that had. Then have students write down what they like about other students in the classroom. Put a student’s name on top of a note card or piece of paper and pass the papers around. Everyone has to write something nice about everyone else in the class. This can help put students in a positive mood going forward. STEM Stack: To keep the learning rolling, have students participate in a STEM stack. You can get a sled ornament at a craft store and then mini presents which can be found in the mini Christmas tree section. Challenge groups of students to stack as many presents on the sled as they can. Whichever team wins can earn a prize! This will show students how difficult it would be for the Grinch to stack all of those presents on the sled and safely make it back to his home. Grinch Green: Get some décor into your classroom by having students make fun Grinch faces. For this craft you will need red, yellow, black, and white paper, a green paper plate, glue, white pom-pom, and scissors. Students can draw and cut out eyes out of the yellow paper and cut small red circles for the inside of the eyes. Then cut out a mouth and eye lashes and glue everything on. Finally, make a Santa hat using the pom-pom to top off the hat! Then hang your mean, green Grinches around the classroom. 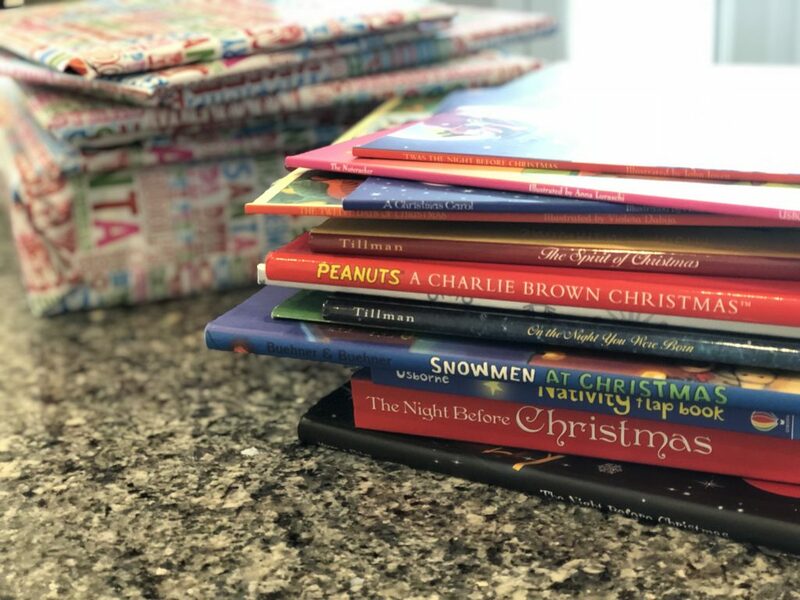 Another fun activity, that is easy and incorporates your favorite holiday themed books, is to create a book advent calendar. 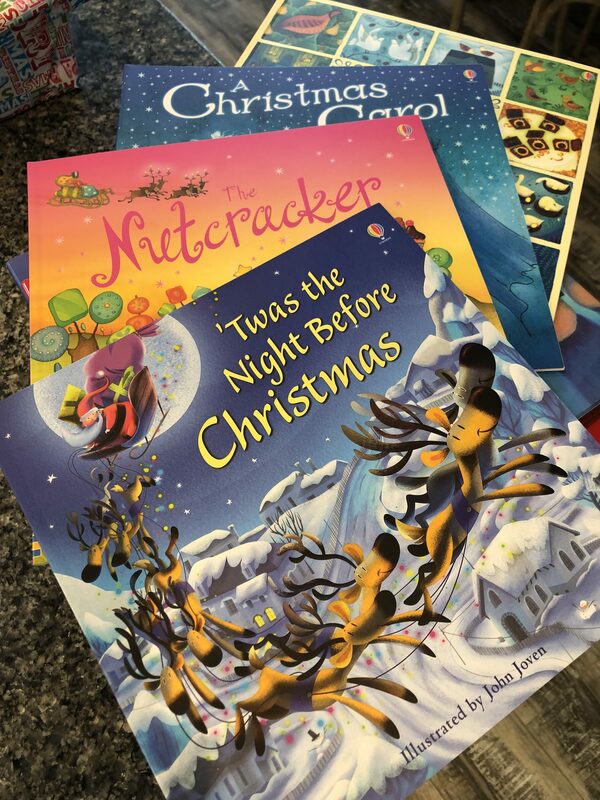 Choose 24 holiday, Christmas, and winter themed books. Wrap each one and place them in your classroom. If you have a specific order you want to read the books in, add a tag to each book with it’s number. Then, unwrap one book a day with your students leading up to the winter break. 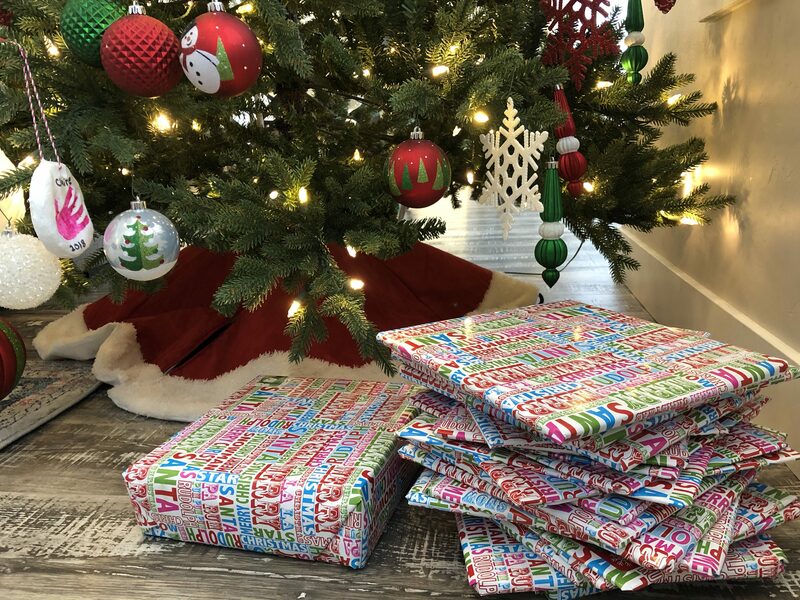 I decided to start this tradition with my family and my kids are so excited! Take a peek below to see how my book advent calendar turned out. There are so many ways to make your December festive in the classroom. These are just a few of the awesome ways you can keep strong curriculum and strong design all while having a good time! « Trick or Treat: Writing is Sweet!